Freedom Screens are a well known brand that offers reliability, easy operation, and low maintenance. They have a 5 year limited warranty & are available in a wide range of colours. We bring demonstration retractable screens to your home so you can have a hands on experience & get the overall look at what the finished product will be like. Screen types available are Elite retractable & Infinity Zipline retractable, they are suitable for doors, windows & serveries. This retractable screen is in the standard range, it can span up to 2 metres in a single door or 4 metres in a double door. It has a built in brake system so the screen can stop at any position. These screens come with a mesh to track retention system which stops blow out or sagging mesh they can span up to 4.5 metres on a single or 9 metres on a double screen. 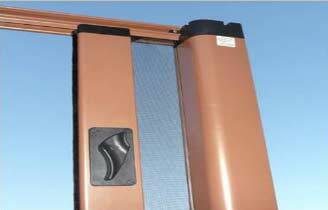 Zipline screens also have a built in brake system allowing the screen to stop at any position. Four housing sizes are available 50mm, 60mm, 70mm & 80mm. 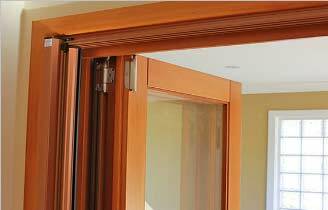 This will suit a wide range of doors & windows giving a modern appearance. 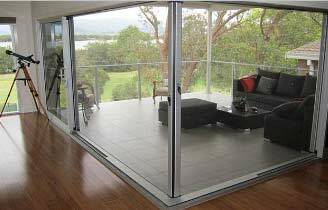 Retractable screens are an attractive solution for all styles of doors & windows. I’d like to thank Trevor from Magic Seal Screens for all the work what they did for us. The services are excellent. We never had any reason to complain. I would always recommend Trevor and Jeanine!